With the gradual improvement of the traffic facilities in Tianjin, another intelligent traffic safety facility appears in this city. 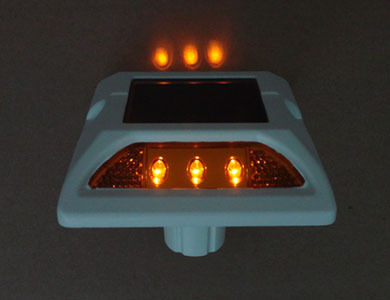 The pedestrian crossing button and road stud brings safety to pedestrians. Nowadays, it is easy to see the Pedestrian Crossing Button signs in the post of the traffic signals on both sides of Zhangzizhong Road, and the button is just under the sign. And this is the new traffic safety facility that was adopted several days ago by the Traffic Management Bureau, which are mainly installed the sections with huge traffic flow. Pedestrians who want to go across the road can press the button, and the system can adjust the signal light according to the traffic flow and the number of pedestrians. If there is no one want to go across the road, the traffic signal will prolong the time to let the vehicles go smoothly, which is a win-win solution not only for pedestrians, but for the drivers. In order to provide safety for pedestrians walk at night, the solar road studs are installed on both sides of this section. When the red light is ON in the driving direction of the vehicles, the semi-circle toward the vehicles will give out red light synchronized to warn the drivers to follow the guidance of the traffic light and provide convenience for pedestrians; and the semi-circle toward pedestrians will give out white light to guide the pedestrians, which can make pedestrians and drivers go across the intersections safely and harmoniously. 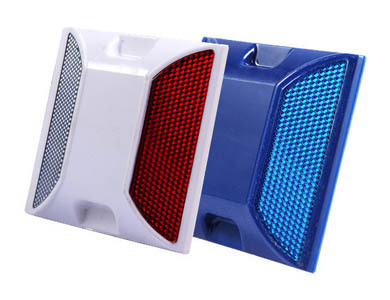 The Traffic Management Bureau indicated that the Pedestrian Crossing Buttons have been installed in 34 signal lights, which mainly focused on Youyi Road, South Dagu Road, Hongxing Road, Xiangyang Road and the South Canal Road, and in the future, it will be promoted to provide convenience for pedestrians to guarantee their safety when crossing the road.